Red? How About Glowing Cat Eyes? James sends this. We applaud the red, but are totally freaked out by the cute cat. Take a picture of red things - the more the better! 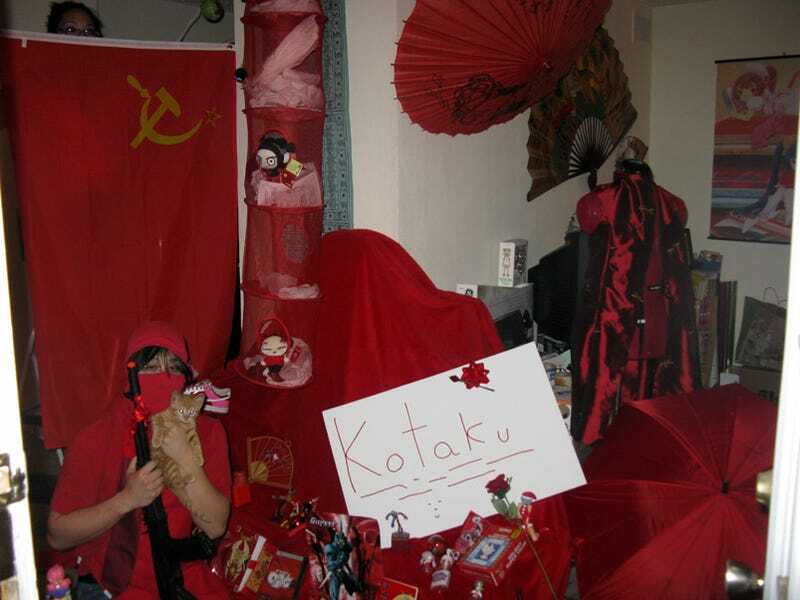 Be sure to include a "Kotaku sign" in the picture. Send your entries to kotakucontestATgmailDOTcom and have a very nice day. Oh, and read our rules. Because that's the rule, and rules are rules.